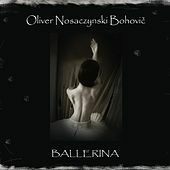 Oliver Nosaczynski Bohovič is a composer, multi instrumentalist and singer/songwriter from Banská Štiavnica, Slovakia. Born on 22.2.1992 in Bojnice, his musical journey began at the age of 10, when his parents signed him for keyboard/piano and singing lessons, althought his passion for music was notable since the early childhood. He later went on to study guitar, piano and composition. A versatile composer, known for his original and recognizable style, he composes music of various genres including Classical music, Pop, Rock, Jazz, Film music and music for various projects. Oliver's first major working opportunity came in 2014 when he was working for a major online game developer, Pixel Federation company and composed the soundtrack for their popular game Emporea: Realms of war&magic. In May 2016, he recorded a promotional multi-genre EP album containing various genres including piano and guitar pieces, soundtrack music or a jazz ballad where he also sings. This album was designated for people in music industry and was only released on Bandcamp. 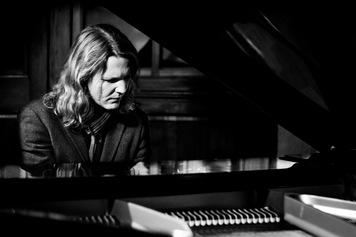 In October 2017 he released his debut LP piano album Ballerina, which received favorable reviews from music critics and was warmly received by the listeners. A popular Slovak music magazine Nový Populár, picked the album amongst the best albums of 2017 and it was also picked amongst the favorite albums of 2018 by the reviewer Kathy Parsons from the renowned American piano music website MainlyPiano.com. 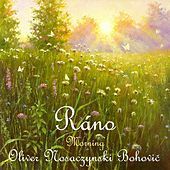 Apart from 10 original compositions, the album also contains a re-make of the 80's major radio hit Marcel z malého mesta by famous Slovak artist Peter Nagy, on whose request Oliver made his modern classical piano version. The godfathers of the album were the forementioned Slovak pop legend Peter Nagy and Moldavian film music legend Eugen Doga.